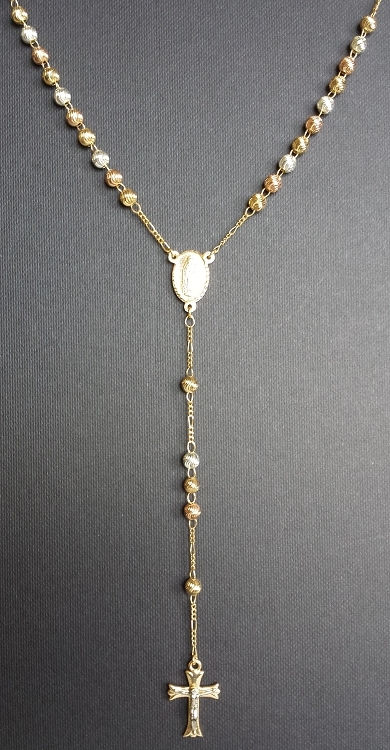 Top Quality Tri-Color 3-Tone Rosary Chain. 18K Gold Layered. 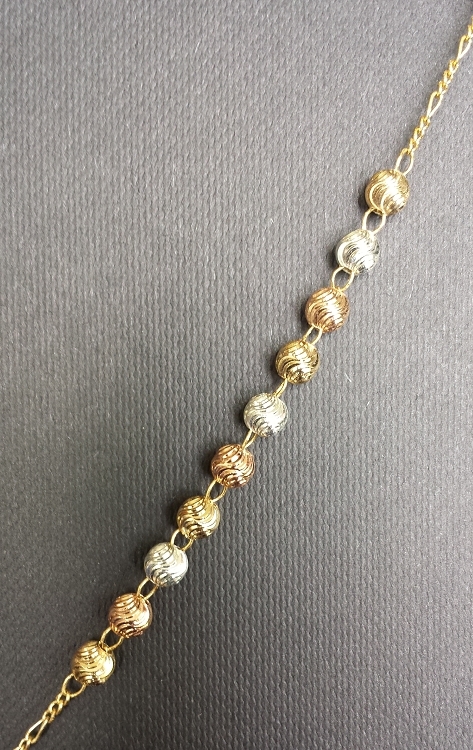 The chain contains stunningly beautiful beads with alternating colors of rose gold, yellow gold and white gold layers. 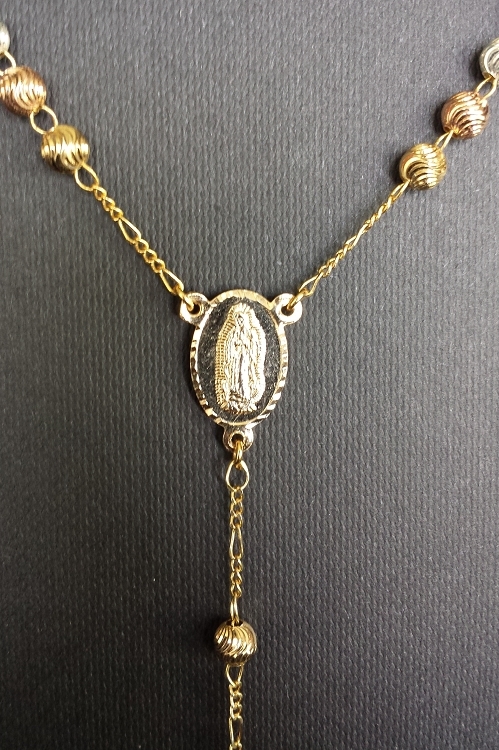 The chain is 24 inches long and has the Our Lady of Guadalupe pendant at the end of it, which drops down about 5 inches more to the cross below.